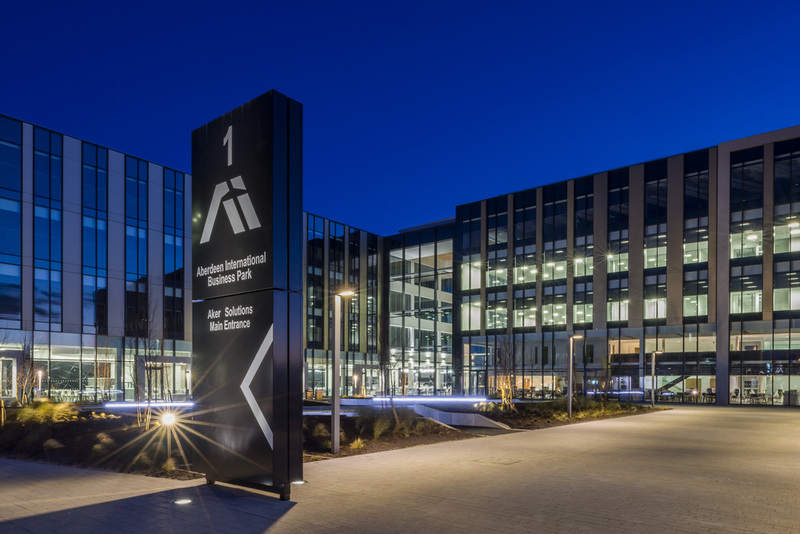 Aberdeen International Business Park (AIBP) occupies the premier out of town office site, strategically located opposite the entrance to Aberdeen Airport and with fast road links to the Scottish motorway network. Edinburgh and Glasgow are two and a half hours' drive. Accessibility will be transformed with the Aberdeen Western Peripheral Route (AWPR), scheduled to complete in winter 2017/2018, which will connect with the new Airport Link Road,completed in Sept 2016, providing swift access both to the West of Aberdeen and into the City Centre. AIBP comprises up to 1 million sq ft of proposed development within forty acres of a beautifully landscaped business park. 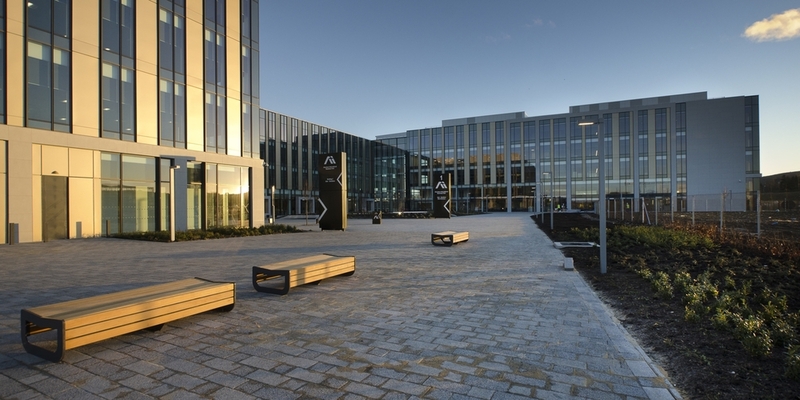 In Scotland’s biggest single office letting deal Phase 1 was pre-let to Aker Solutions who now lease 335,000 sq ft of space including their own purpose-built leisure facilities. 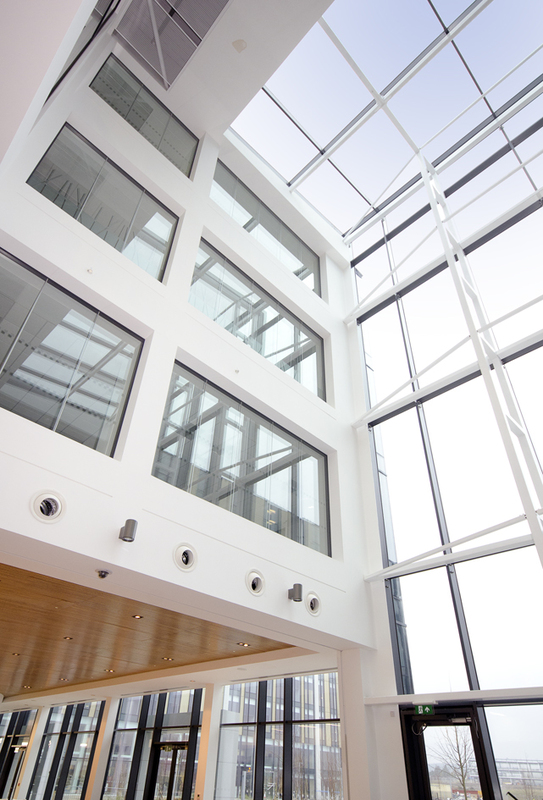 Short-term office space from 25,000 – 100,000 sq ft is available on flexible terms within the Aker building. Phase 2 will comprise high specification, energy efficient office buildings from 40,000 – 530,000 sq ft incorporating BREEAM Excellent and EPC A/B ratings and a car parking ratio of 1 space per 30 m² gross. Phase 2 will also include at least one 4 star Hotel with extensive leisure and dining facilities. 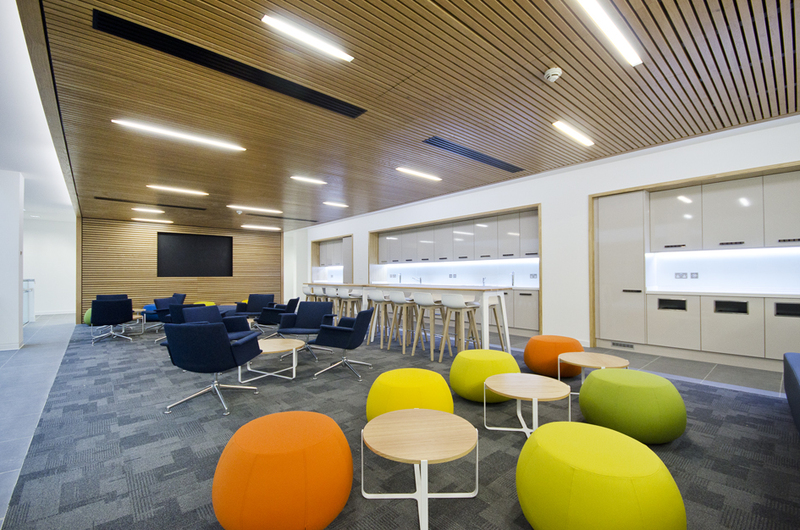 AIBP is managed to the highest standards and occupiers will be offered a superbly maintained and secure working environment including a menu of services to enhance their experience.